SHE WANTS TO CHANGE THE WORLD. HE WANTS TO BUY IT. Bennett Wade is many things—arrogant, smug, brusque—but trusting isn’t one of them. Women just seem to be after his billions. So when he hires Taylor Reed, he has no desire to change. 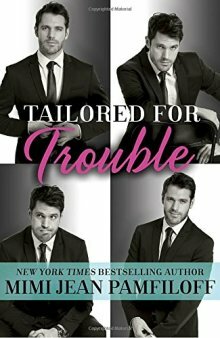 Bennett is trying to win over the feminist owner of a company he desperately wants to buy, but something about the fiery Taylor thaws the ice around his heart, making Bennett feel things he never quite planned on. And if there’s one thing Bennett can’t stand, it’s when things don’t go according to plan. You agree to be added to the NOR Newsletter. This contest is sponsored by Random House. The sponsor is solely responsible for the contest prize shipping. New York Times and USA Today bestselling author, host of the radio talk show--Man Candy on Radioslot.com--and romance novel addict. Mimi hopes that someday, leather pants for men will make a big comeback and that her writing might make you laugh when you need it most.